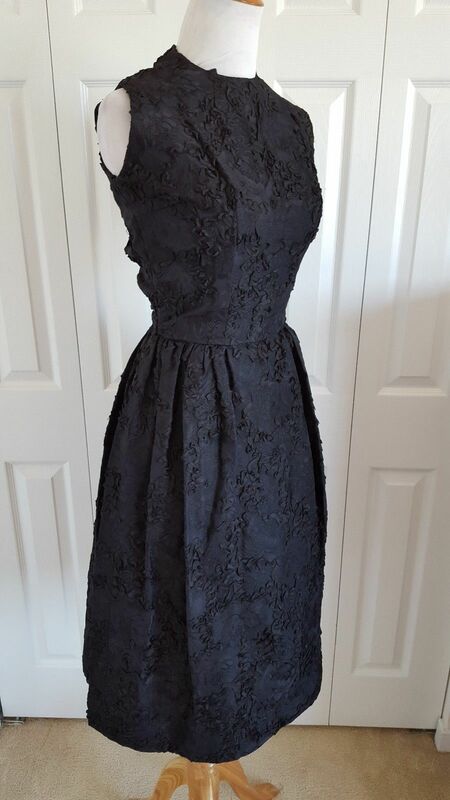 I nabbed this beautiful 1950s style original vintage Nina Ricci dress at a local thrift store. I know, it’s just bizarre what ends up at the Goodwill, but there it was, waiting for me! I knew it was original by a couple things: labels and seams. This dress had two different labels–one from the designer, Nina Ricci, and another from a store called Thalhimers. Thalhimers started as a dry-goods store in 1842 and became was a popular department store chain until 1992, when it merged with Hechts. The flagship store was in Richmond, VA. As you probably know, modern clothing doesn’t usually have a store specific label sewn on. The store’s name on modern clothing is on one of the paper tags, along with the price tag and extra buttons. Modern clothing also has tiny fabric allowances at the seams. 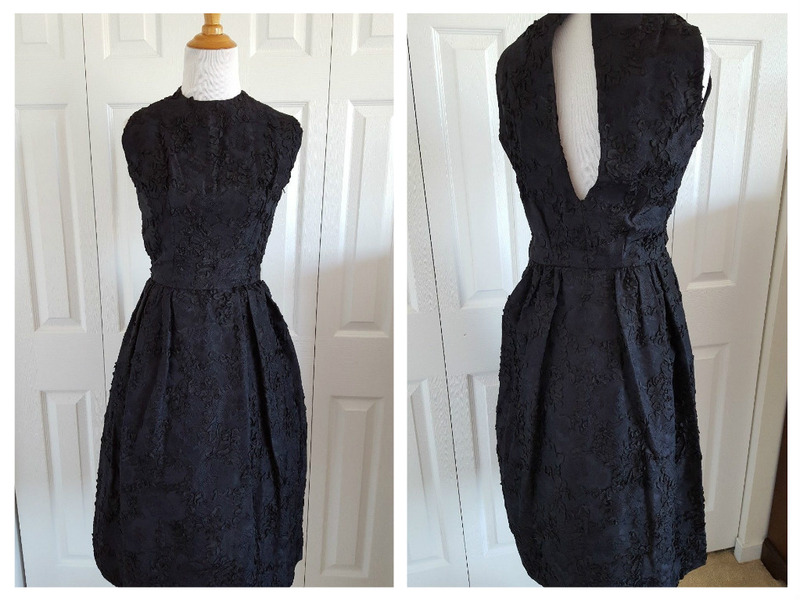 Vintage clothing often has an inch or more at the seams, like this dress. It allows a tailor to adjust the item for the perfect fit. Look at those huge seam allowances! These are the kind of thrift scores that make me want to keep shopping and selling! Have you scored any great vintage thrift finds lately? Share below! 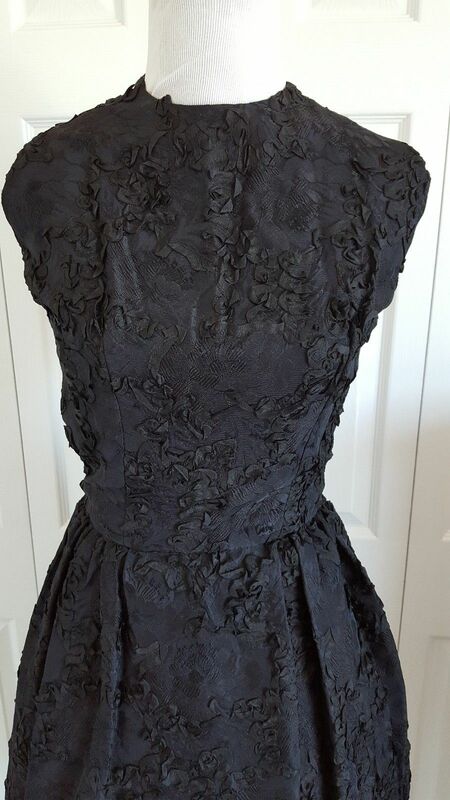 Separator image Posted in ebay, fashion, resale, thrifting and tagged with nina ricci, thalhimers, vintage clothing.